A blog to explore the solicitation of political donations by Malcolm Roberts in relation to Queensland’s electoral laws. Check back for updates. The ECQ has confirmed candidates can receive direct transfers to personal bank accounts. The statement can be read in full here. In a separate line of inquiry, Professor Graeme Orr from the University of Queensland pointed out that laws preventing personal accounts from being used by candidates had been removed recently under the Newman Government. “Queensland only required dedicated ‘campaign account’ in 2011-14. LNP ‘rationalised’ all that and Labor hasn’t revisited it this term,” he said. 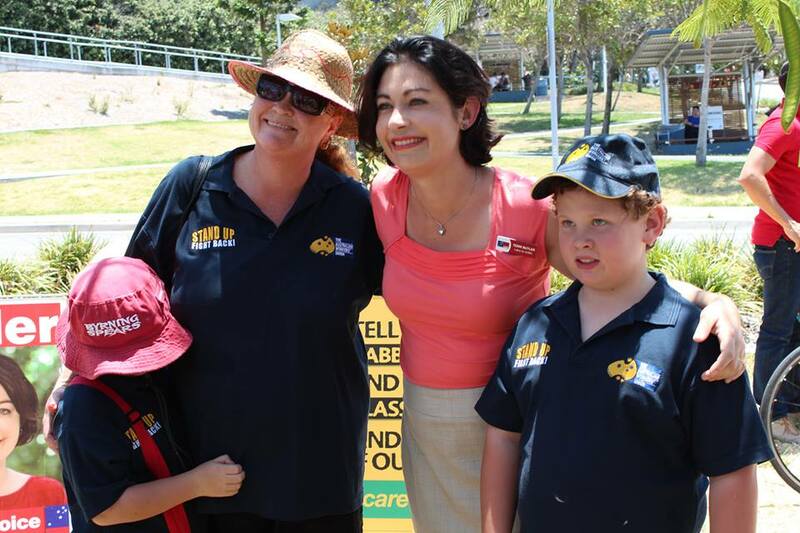 Queensland only required dedicated 'campaign account' in 2011-14. LNP 'rationalised' all that and Labor hasn't revisited it this term. A number of questions have been raised after a Twitter post by Left In Limbo regarding Malcolm Roberts. The Pauline Hanson’s One Nation candidate and former Queensland senator is running as a candidate in the Queensland election for the seat of Ipswich. 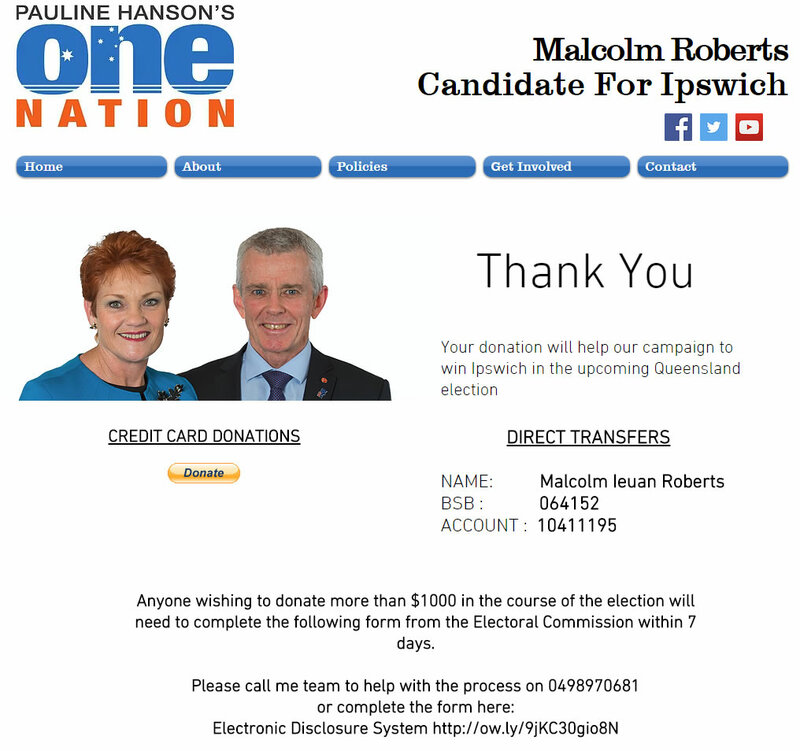 Curiously, he appears to be soliciting direct transfer donations to what appears to be his personal bank account via this website https://www.malcolmroberts4ipswich.com/donate whilst standing in the election under the PHON banner. 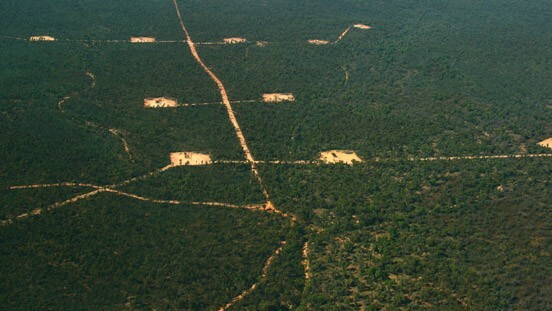 The account name is given as Malcolm Ieuan Roberts and the given BSB number of 064152 corresponds to the Commonwealth Bank, Shop 1, Kenmore Village Shopping Centre, 9 Brookfield Rd Kenmore, QLD 4069. NoFibs has contacted the Electoral Commission of Queensland for comment. 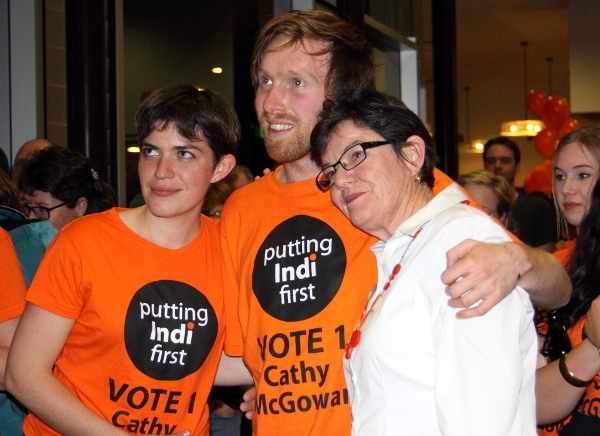 NoFibs is not suggesting any wrongdoing by the candidate.